Dr. Karen Davis Bernard holds a Bachelor of Arts degree in applied voice with a piano minor from the State University of New York at Geneseo and a Master of Music degree in vocal performance from West Chester University. In 1990, Dr. Bernard was awarded a scholarship and teaching assistantship from the University of Miami. Dr. Bernard graduated from U.M. in 1995 with a Doctor of Musical Arts degree in vocal performance. While studying in Miami, Dr. Bernard sang numerous leading roles with the opera workshop including Lucia in Lucia di Lammermoor, Violetta in La Traviata, Queen of the Night in The Magic Flute, and Donna Anna in Don Giovanni. Dr. Bernard was guest soloist with the U.M. Concert Choir in Carl Orff's Carmina Burana, and also performed works for three marimbas and soprano by Villa Lobos/Rosauro with the renowned University of Miami Percussion Ensemble. Dr. Bernard performed her first major role (Yum-Yum in The Mikado) at age 22 with Berks Grand Opera in Reading, PA. Since that time, she has performed minor leading roles with the Gold Coast Opera in Ft. Lauderdale and The Pennsylvania Opera Theatre in Philadelphia. Dr. Bernard has toured Italy as soprano soloist with the Universita di Siena orchestra, and in 1992, was one of twelve voice teachers in the country chosen for the National Association of Teachers of Singing (NATS) summer intern program. In 1993, Dr. Bernard won the Florida title in the NATS Artist Award competition. She also performed in the Leyerle Publications Showcase at the NATS Golden Anniversary Convention in Tampa. Dr. Bernard has served as choir director and soloist at various churches from the time she entered college. Teaching and ensemble singing are her true passions. Dr. Bernard taught as an adjunct professor at Broward Community College (Central and North campuses) in south Florida. She also served as music teacher for Western Elementary School in 1988. While in Florida, Dr. Bernard formed "Soiree", a vocal jazz quartet of voice majors from the University of Miami School of Music. Since moving to Barrow County, Dr. Bernard has organized and directed several community benefit concerts including "Broadway in Barrow" and "A Musical Journey Through Time"-both for the benefit of Keep Barrow Beautiful (a subsidiary of Keep America Beautiful), "An Evening of Praise" - four consecutive years of multi-church choir concerts to benefit the Barrow Food Pantry and The Tree House (a children's advocacy organization), and classical and Broadway music for the Peace Place Gala in 2000. In the summer of 2002, Bernard formed a 24-member select vocal ensemble called The Georgia Vocal Project, Inc. (http://georgiavocalproject.tripod.com) based in Barrow County. She holds current professional memberships with the Music Educators National Conference, American Choral Directors Association, and the National Association of Teachers of Singing (since 1980). 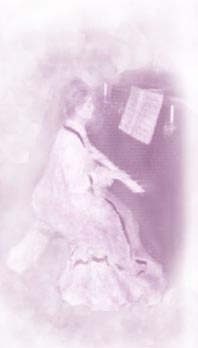 Dr. Bernard resides in Bethlehem, GA with her husband and daughter where she teaches the Mayron Cole Piano Method, and private voice lessons at the AngelSong Academy of Arts.